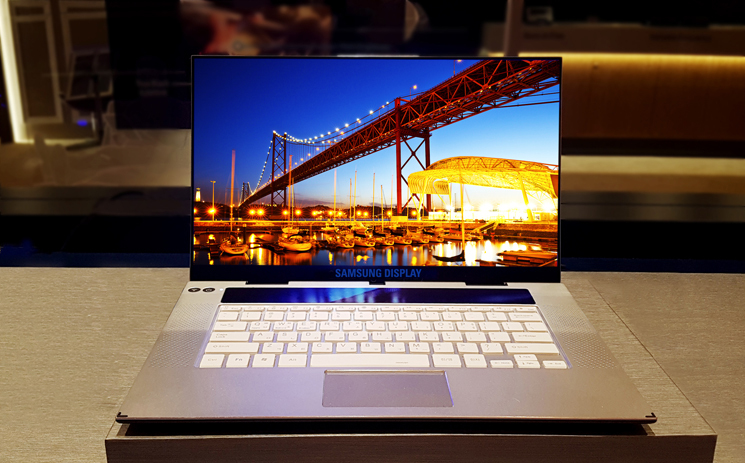 Samsung will start mass production of its 15.6-inch OLED monitors for laptops in mid-February, so expect actual notebooks that use the display to hot the market later this year. "a dynamic contrast ratio of 120,000:1"
Has that ever been a problem? Millions of phones would say, "no." 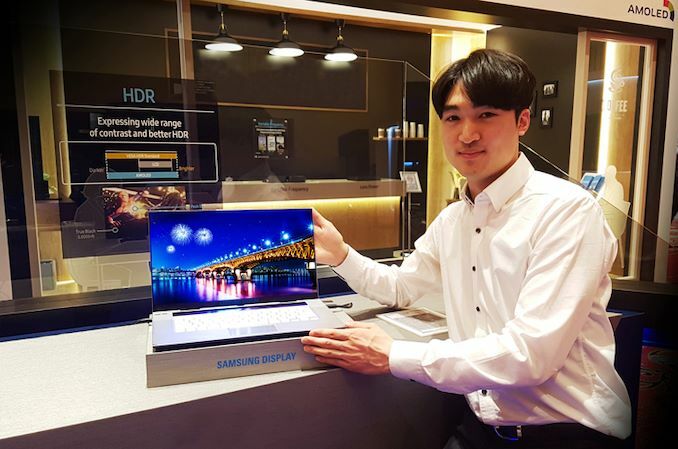 Never fails - there are always people trying to bring down better display technologies like plasma or OLED, all in the name of defending their craptacular tech that they bought to save a few $. I get where you are coming from. But different use cases are different. It's pretty much impossible (and there's very little demand) to hack a phone to keep the screen on and displaying the same static content for hours on end. Whereas there are use cases (and it's generally just a trip to the Settings app) for setting up a laptop that behaves this way. Compare, eg, the Tesla. I don't know what tech that screen is, but burn-in on Tesla screens (especially the menu bar area) is not uncommon. A friend of mine used an S7 as a satnav for long distance and got quite bad screen burn. I gave him my old M9 with an LCD screen to use for the purpose.